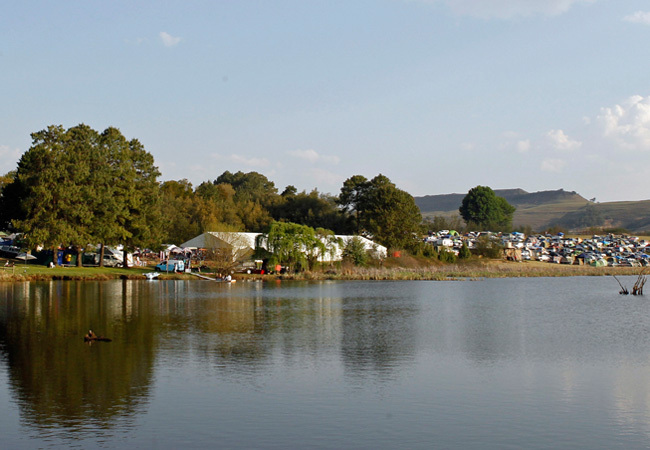 Music Festivals / Outdoor Events in or near Giants Castle, Drakensberg in KwaZulu Natal, South Africa. This September we're bringing you laid-back acoustic music in a relaxed atmosphere surround by an awesome setting, don’t miss the annual White Mountain Festival! Held near Giant’s Castle in the beautiful Central Drakensberg region of KwaZulu Natal, White Mountain is a short while out of Durban and Johannesburg. The festival offers acoustic performances by some of the country’s finest established up-and-coming artists including Craig Hinds, Cape Town singer and top of the chart performer Matthew Mole, Brett Newski, duo Margaret's Daughter, as well as Paige Mac, Gerald Clark and Luna Paige to mentioned a few. Look forward to ample space within the beautiful surroundings where you can enjoy fishing at the dam, swimming in the pool, or watching your children enjoy the playground area. As soon as you feel slightly hungry tuck into the charming restaurant's menu or relax with an ice cold bear at the pub. Other activities include fun arts and crafts for the family, an array of food outlets and a popular beer market, all overlooking the magnificent and peaceful beauty of one of the most idyllic spots in the Berg.